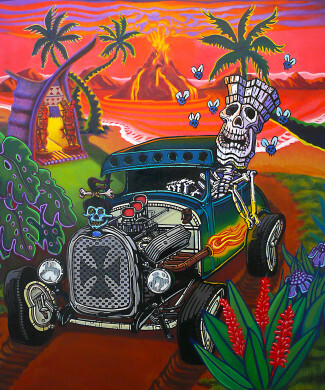 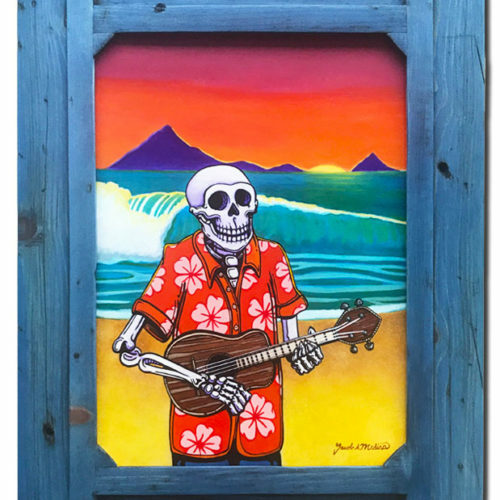 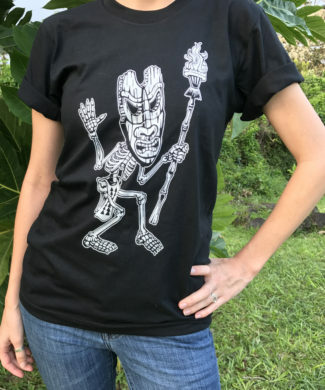 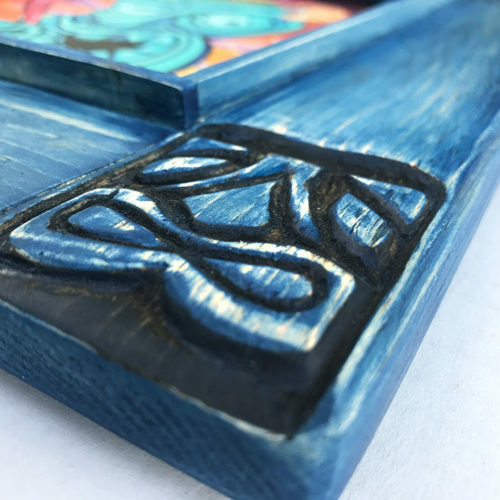 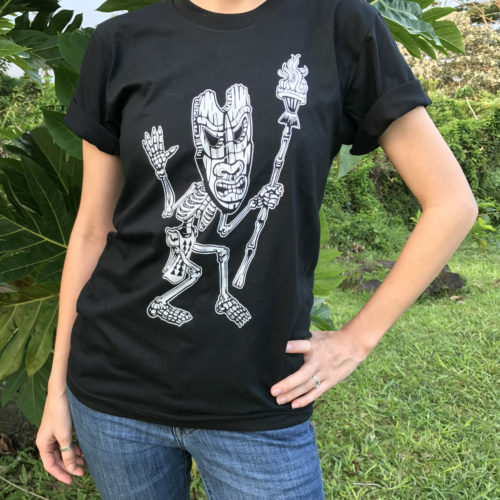 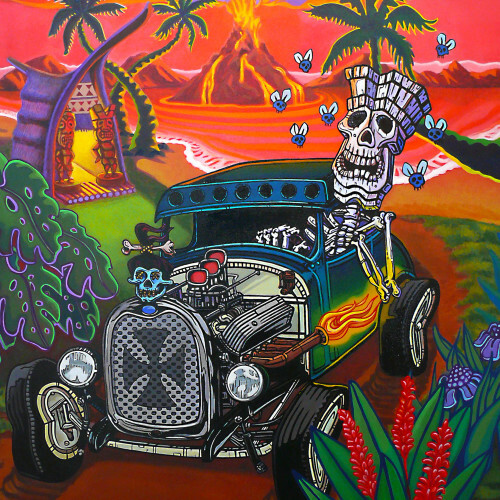 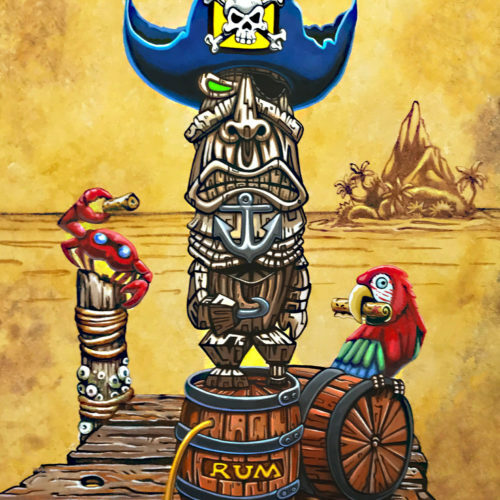 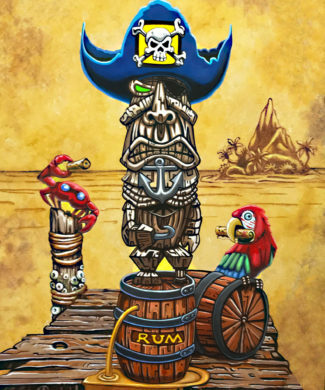 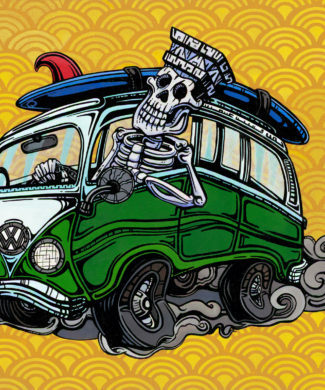 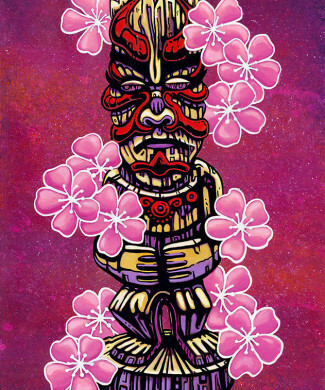 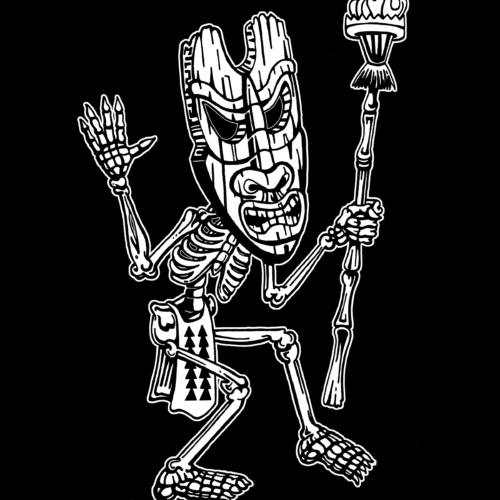 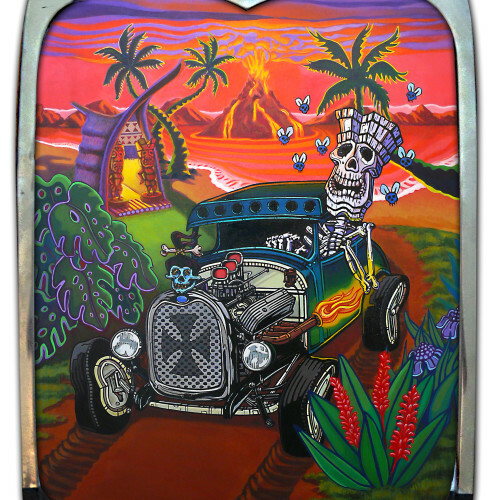 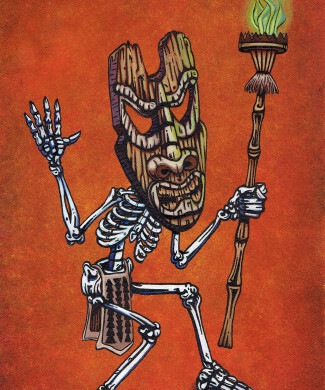 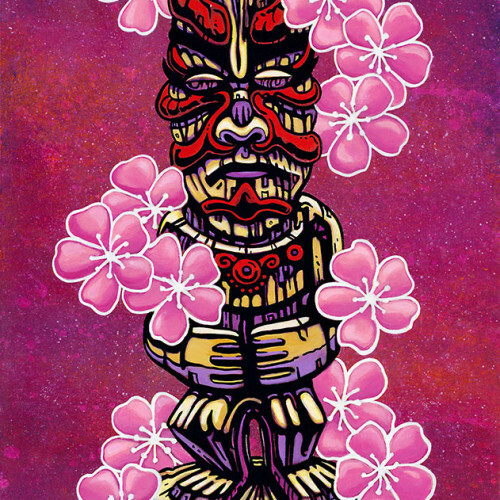 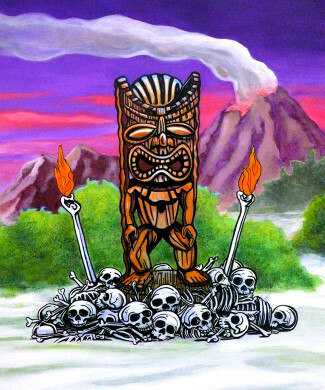 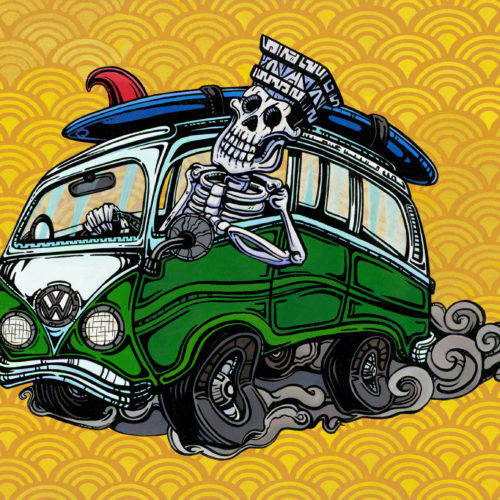 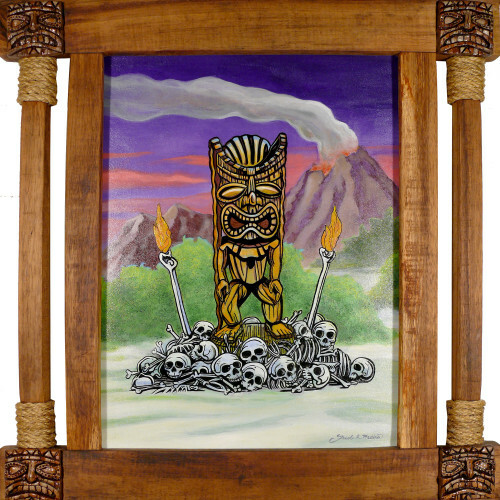 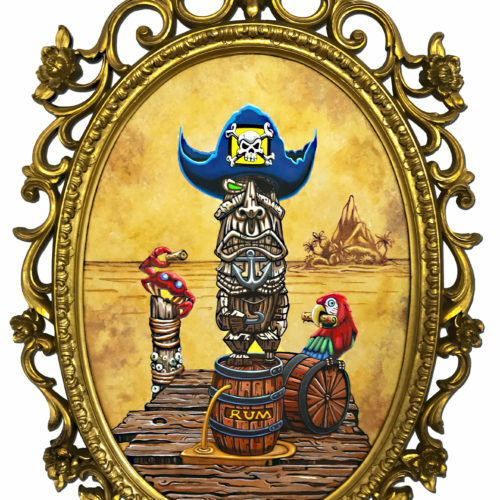 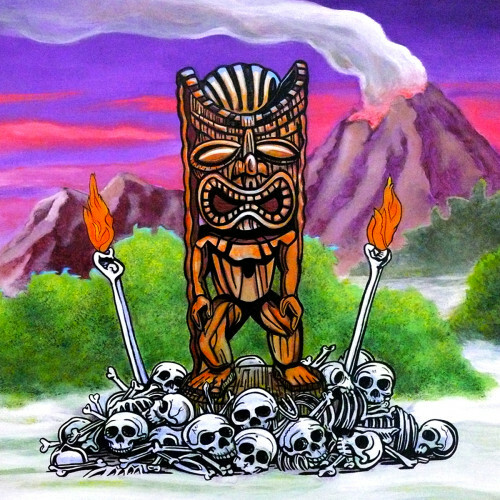 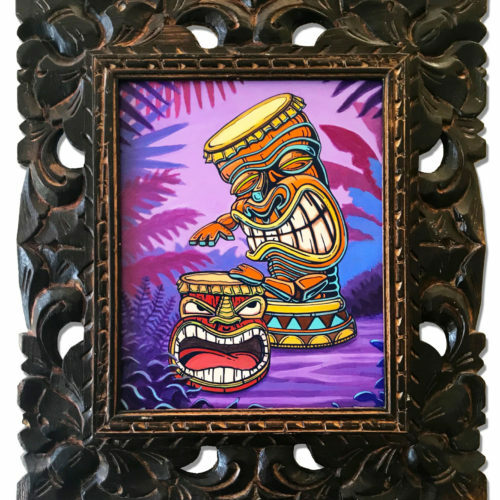 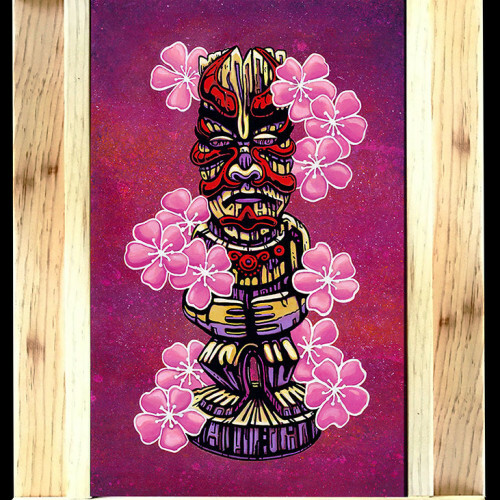 “Muerte en Hawaii” is original day of the dead art from Hawaii. 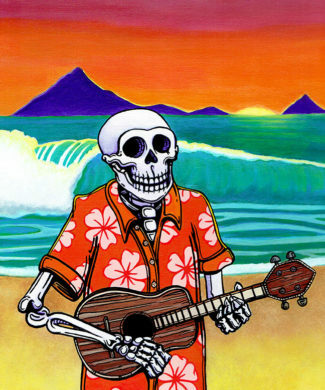 Death is shown here on vacation in an aloha shirt playing an ukulele on a sunlit beach. 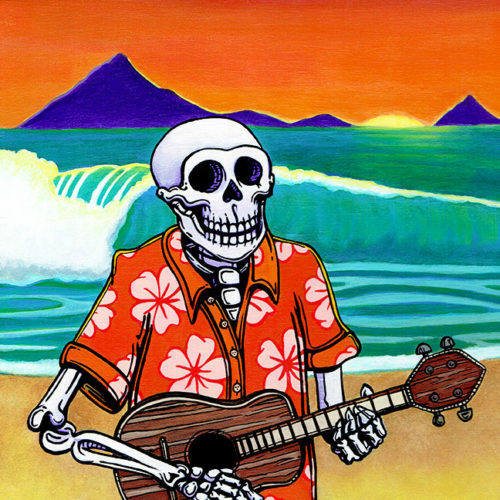 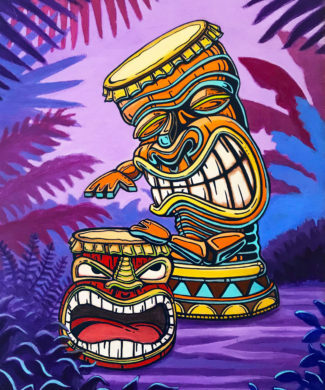 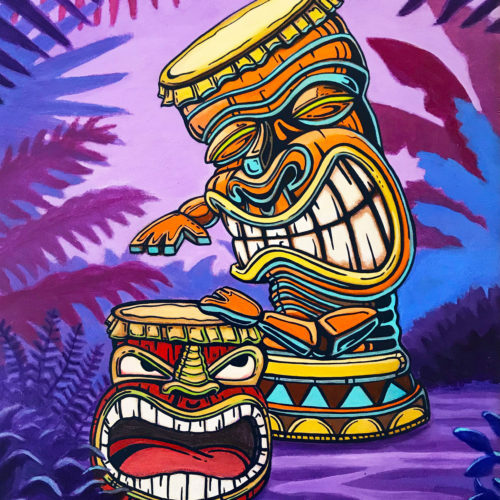 I like to think that he is playing that song from Ziggy Marley, “Beach in Hawaii”, while the waves keep the rhythm in the background. 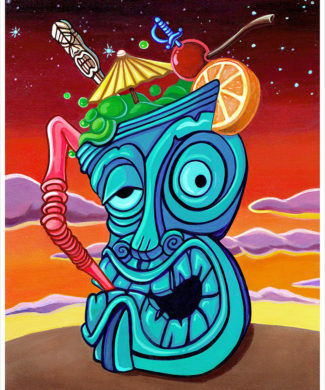 It’s a perfect picture of the island lifestyle and shows how the only way to live life is in the moment. 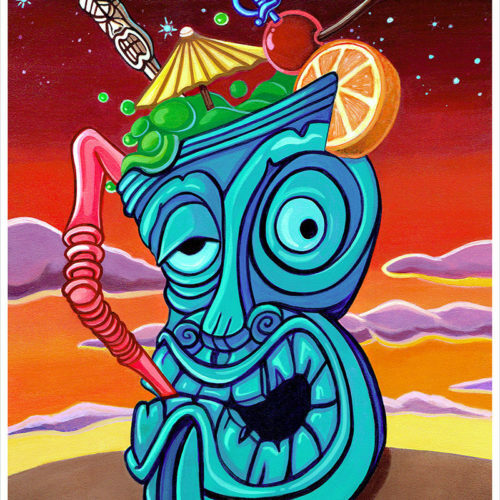 Although the original painting has SOLD there are still many print options available. 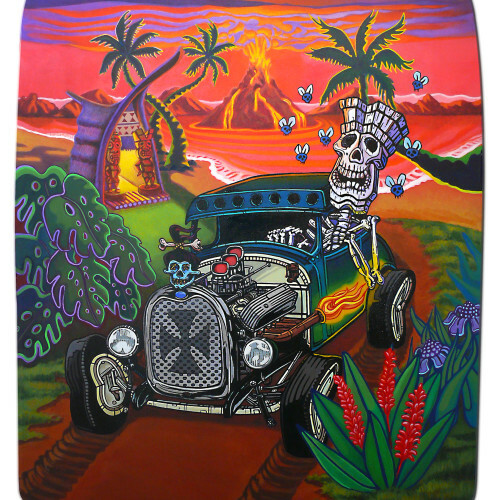 Going for Broke is a painting made based on my experiences skateboarding. 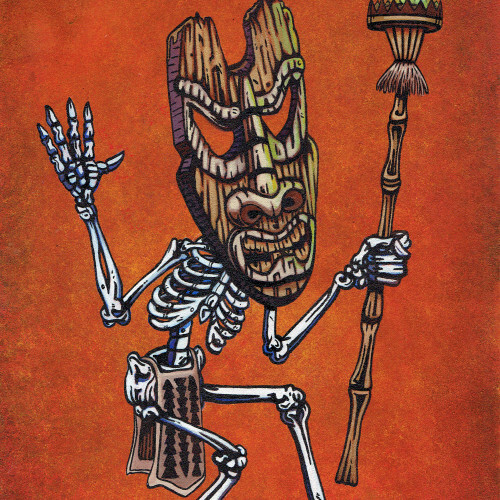 I chose to represent a skeleton skateboarding because it amplifies the vulnerability of our bodies. 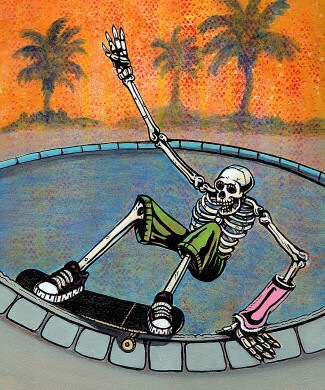 When I was fifteen I wrecked my left arm trying to do a noseslide and ended up having surgery where doctors installed screws into my bones to hold my elbow together. 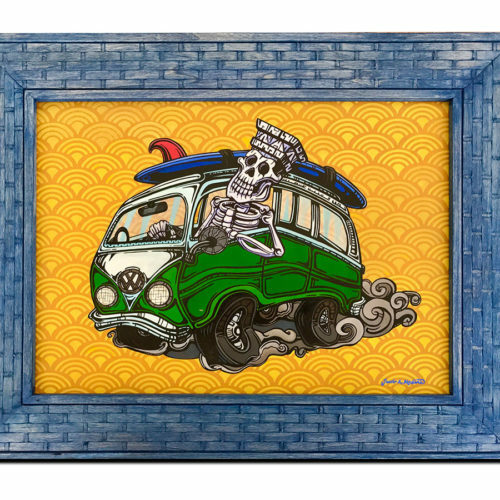 Since skateboarding is one of the earthly pleasures I would be enjoying in the afterlife this piece honors the idea of the Day of the Dead by depicting not just any skeleton skateboarding but my skeleton skateboarding. 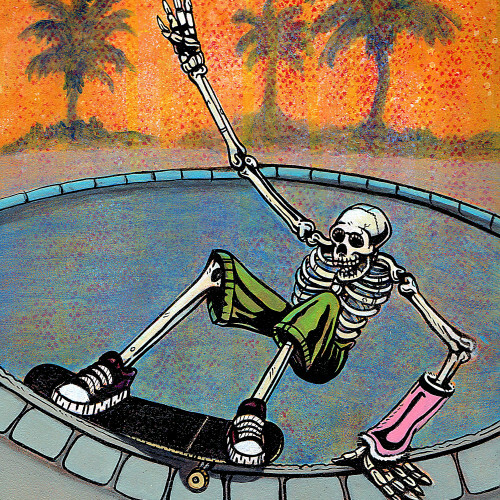 After my first broken arm I have continued to skateboard and have broken a total of nine bones. 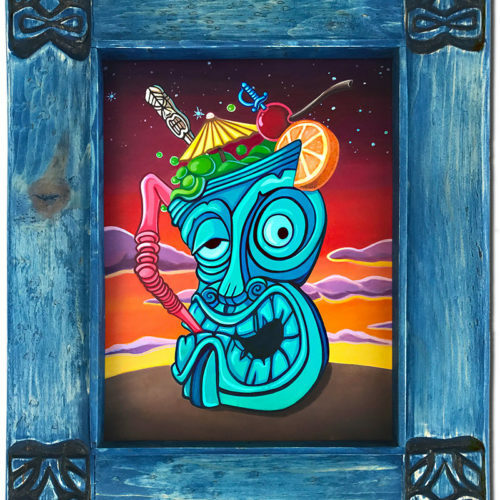 I feel this piece is very personal to who I am and sums up the passion to do what you love.